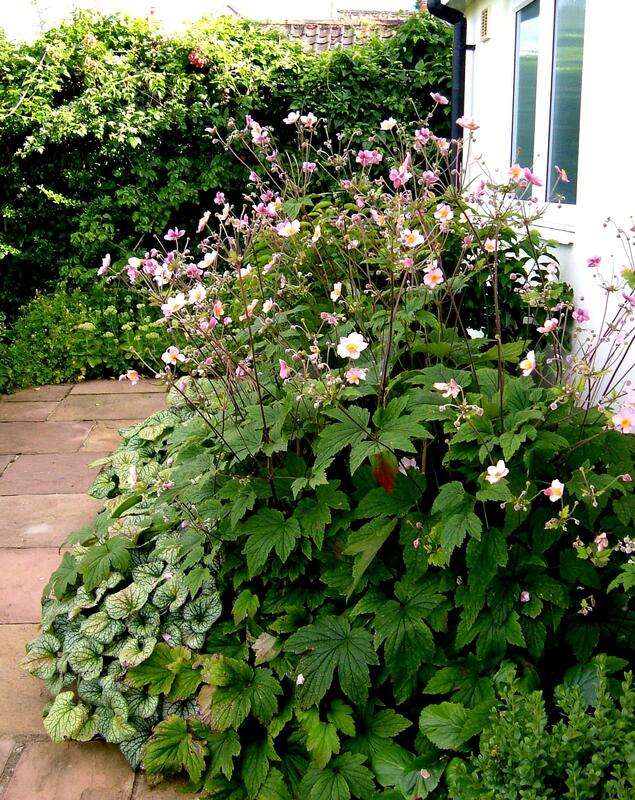 I planted Three Anemone ‘Hadspens Abundance’ in March 2011 and I have been learning how to look after them. 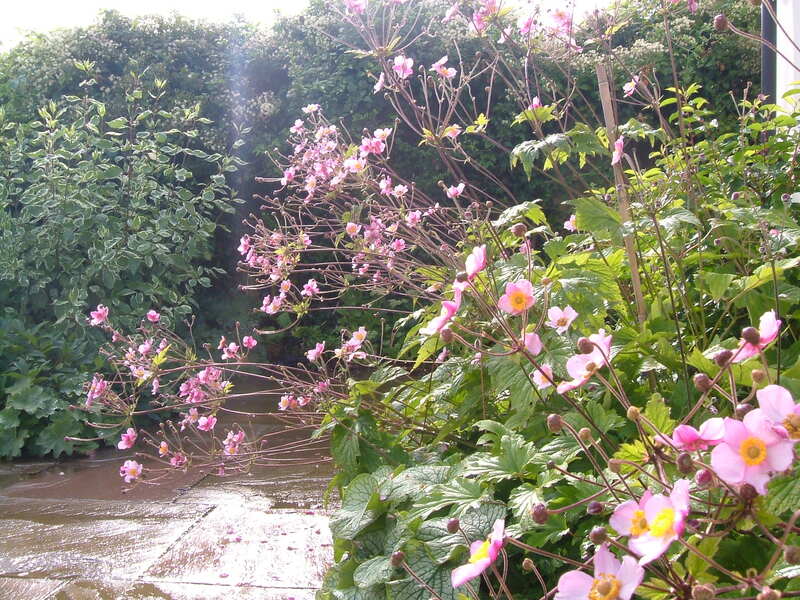 Last year the anemones grew very tall, and then fell over. So, this spring, my third year with the plants, I surrounded them with bamboo canes, with string circles at two different levels, and waited. And I was rewarded with tall, upright Anemone ‘Hadspens Abundance’! Success! I have learned how to care for this perennial. ← Lemon Drizzle Cake Dilemma! 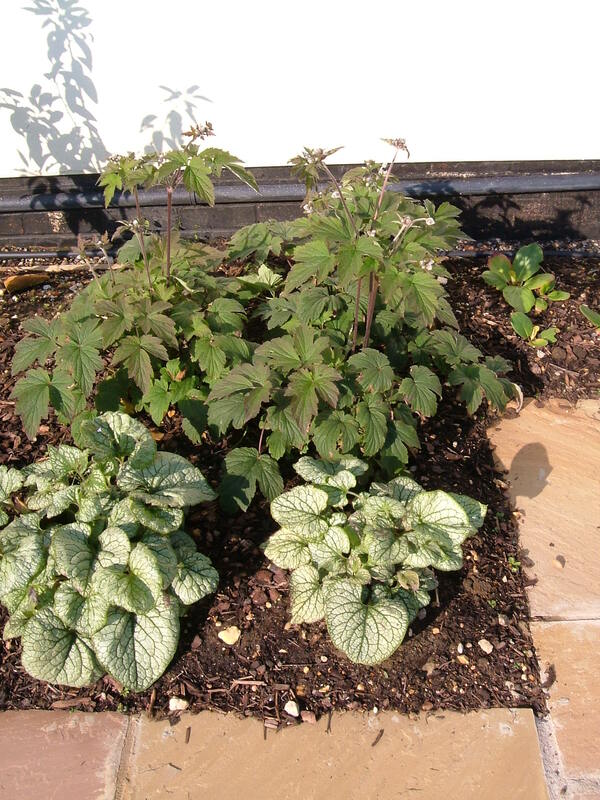 very pretty….. and good leaf combinations too! 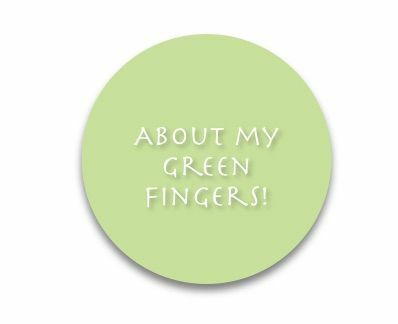 Thank you – I am just so pleased that I got this right! 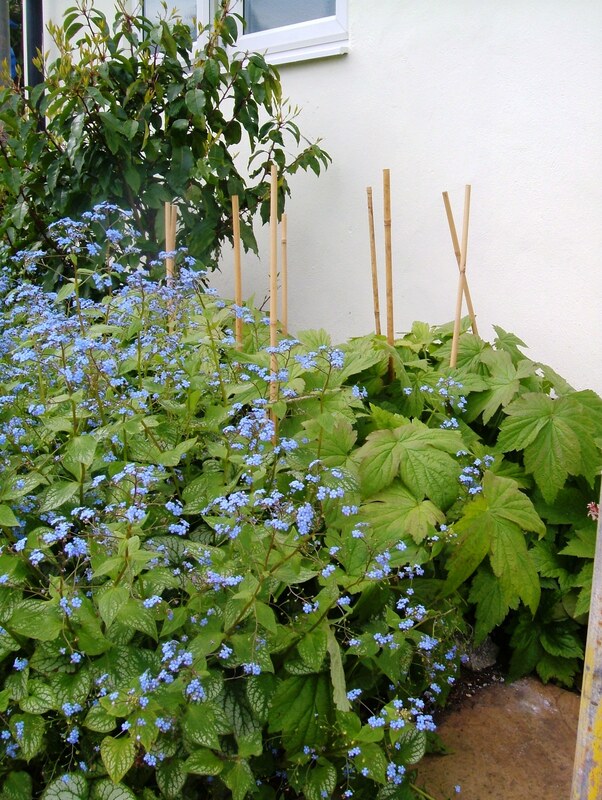 The leaves, as you probably know, are Brunnera ‘Jack Frost’. I bought three plants in Year 1 and then divided. Year 4, next year, I will leave them in peace. The hot weather damaged the leaves somewhat, sadly.